I genuinely can’t believe that it’s already time for me to write this post. 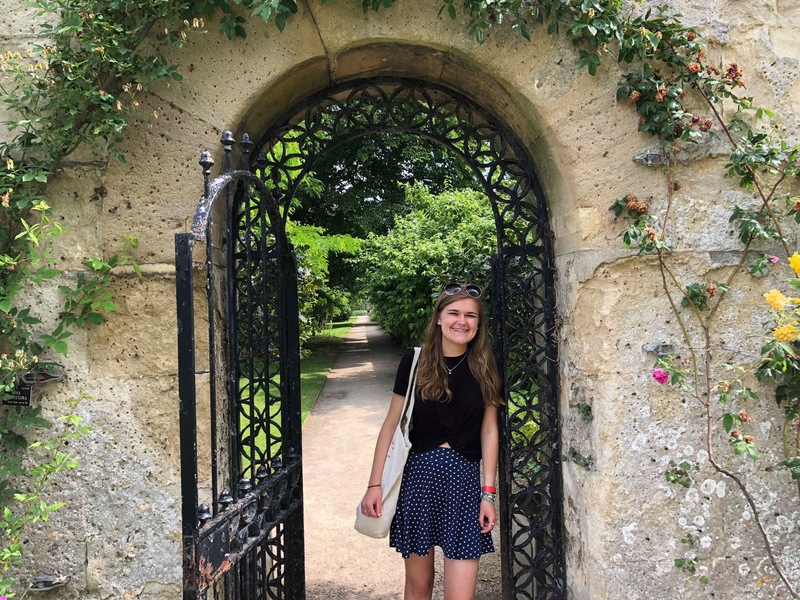 It’s a post I’ve been simultaneously dreading and looking forward to writing for months as I’ve oscillated between being homesick and never wanting to step foot outside of Oxford again. Yesterday I made the teary-eyed flight from Heathrow Airport in London to Logan in Boston, too emotional to even register how tired I was from sleeping a mere two hours the night before. Walking into my house in New Hampshire was one of the strangest feelings–everything feels familiar yet strangely new. I was surprised to find that I had forgotten where I keep a lot of things in my bedroom, how I used to go about my morning routine, and what it feels like to take a shower without having to wear flip-flops. This feeling of disorientation in a space that should feel inherently familiar to me is similar to the confusion I felt the summer after my freshman year at Wheaton, but much, much more intense this time around. It’s amazing how the number of “homes” you can have seems to multiply the more places you go and people you meet. My time at Oxford was undoubtedly the best year of my life. I did so many new things, explored so many new places, and met so many new people who I already miss dearly. From traveling to different cities over spring break to eating in formal halls and punting down the river, I’ll never forget all of the incredible memories I’ve made over the past ten months. It’s difficult to explain this year to people in words–where do I possibly begin?! Sometimes it feels like it’s something you can’t fully understand unless you were there alongside us all in the moment, walking those streets that feel like they’re straight out of a movie set and hurriedly writing essays in the Crypt cafe so you have time to go a pub later that night. Leaving Oxford was one of the most emotional, challenging experiences I’ve ever had. It’s one thing to graduate high school or leave Wheaton for the summer, but a completely different ordeal entirely when you don’t know if you’ll ever see these far away friends again. We did our best to instill the “it’s not goodbye, just see you later!” mantra in our minds over the past week, but it’s definitely not enough to stop the tears from flowing completely. I can’t express how grateful I am to have had this amazing year abroad. It was better than my highest expectations! However, the fact that I’m now back in the States doesn’t mean that this blog series is ending! There are so many more experiences I’d still love to share with you all (I still haven’t shared my trips to Edinburgh, Amsterdam, Berlin, or Vienna!! ), which means that these weekly posts will likely continue throughout the summer. If there are any specific posts you’d like to see, I’d love your suggestions! Thanks so much for coming along on this study abroad bonanza with me. I’ve had so much fun chatting with you all about different cities, experiences, museums, and memories over the past year and I’m really looking forward to continuing these lovely conversations this summer. As always, click here to check out other posts in my Holly Goes Abroad series! Have you ever had to leave somewhere you desperately wanted to stay? Did you ever study abroad? What would you like me to write about next? Let me know in the comments section below! I lived in New York last year for an internship. Leaving it not knowing when I’d be back was one of the hardest things I’ve ever done! Well, now I’m in tears. 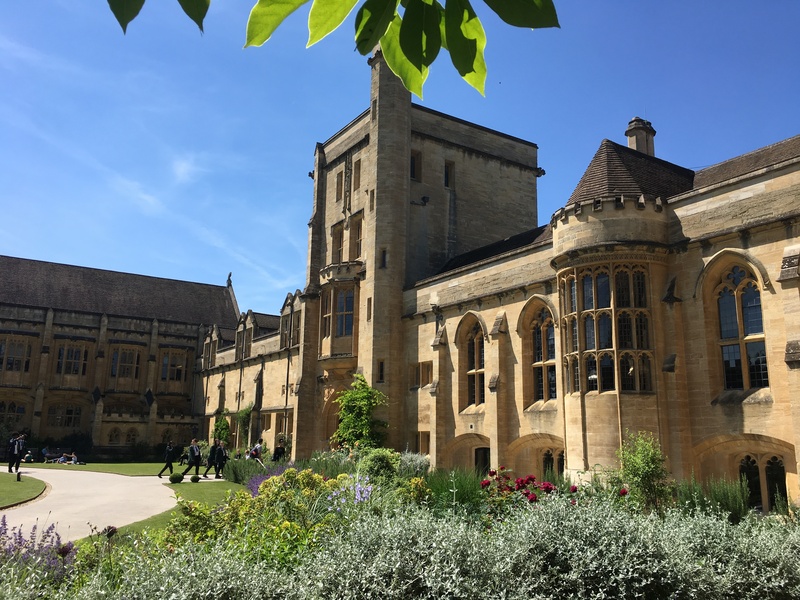 It’s always hard to say goodbye at the end of the school year, but you must have to magnify that about 1000 times to describe your goodbye to your Oxford life. You’ve already lived an amazing life, and it’s really only beginning. I’m so happy you had that wonderful experience. It has to be a shock to be back. And you’re right, we do have more than one home that we’ll never forget. I really love this writing style!! Its so unique and well written, would love to be a contributor one day if you would like!! Great blog, cant wait to read more!! Leaving Scotland after a year broke my heart. I tried to go back but ended up in London due to immigration. I still like it here, but Scotland forever has a place in my heart. I guess what makes me curious about travels in general our cultural differences. How uni programmes are taught in different countries, also how we change when abroad and how we see ‘back home’ after we come back. I love travelling because it pushes me to grow. I can definitely relate to this. I actually very nearly stayed for a second year when I studied abroad, but I wanted to graduate on time. I struggled to readjust to being back home, so feel free to message me on IG if you ever need to talk. 💚 I’m so glad you had such an amazing experience! There really isn’t anything like study abroad. I’m glad that your experience abroad was good! It was definitely fun to read about! Ahhh I felt so disoriented after three months away from home, I can’t imagine how disoriented you must have felt after ten! Glad to hear you had such an amazing time Holly 🙂 Can’t wait to see the rest of the posts in this series! Thanks, Michelle!! I’ve home for over a week now and it’s finally starting to feel a bit better… but still strange at times! Hey Holly! Not sure you remember me, but we exchanged a few e-mails about this time last year as you were getting ready to go abroad 🙂 I found your blog posts in a fit of nostalgia and I’m SO glad that you had a great time at Mansy. Just wanted to give my two cents of hope that it can be a “see you later” for the friends you made at Ox. I’ve stayed in really close touch with a bunch of my English and VSP pals and I went back to stay with some of them this winter (we probably crossed paths at the Hilary 0th week bop!). Maintaining those connections is a little more effort, but I still count my Ox friends as some of my best friends.